スペインを拠点にSpace IBIZAを始め、世界中で開催されているモンスターパーティー “elrow” より、Marc Mayaが来日!! 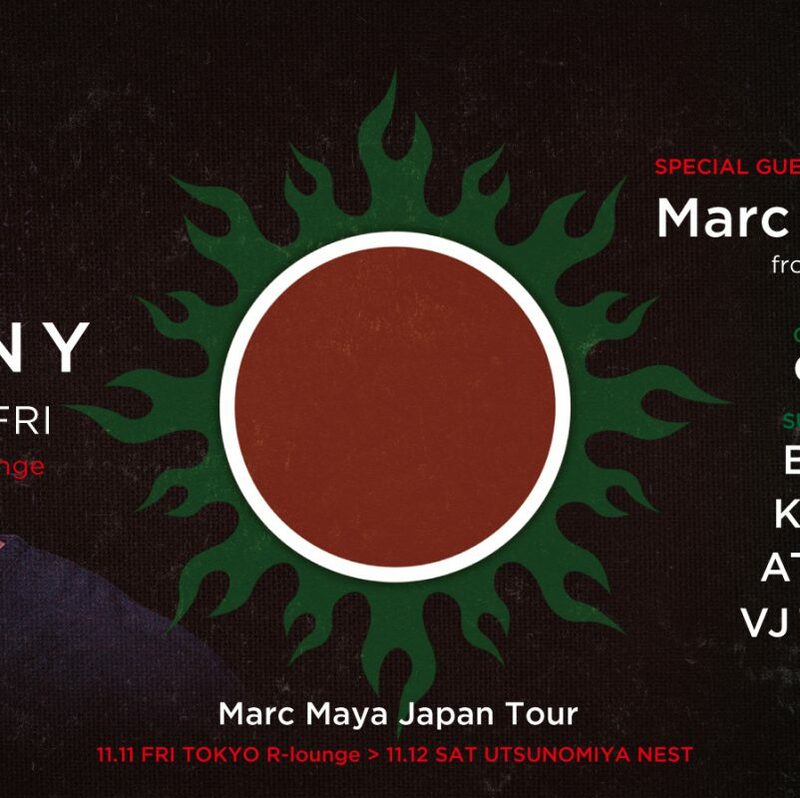 Marc Maya from monster party “elrow” which has been held all over the world mainly based in Spain Space IBIZA will come to Japan!! He is appointed two years consecutively in VMC award sponsored by Vicious Magazine. This increase expectation to an upward trend Marc Maya!! In addition, OSAMU M who has a world career such as in London, Argentina, Colombia, and Venezuela etc. will make appearance as a guest DJ! Please take note to him who has appeared in FUJI ROCK and ULTRA RESISTANCE this year and to his unique view of the world tech sound! !